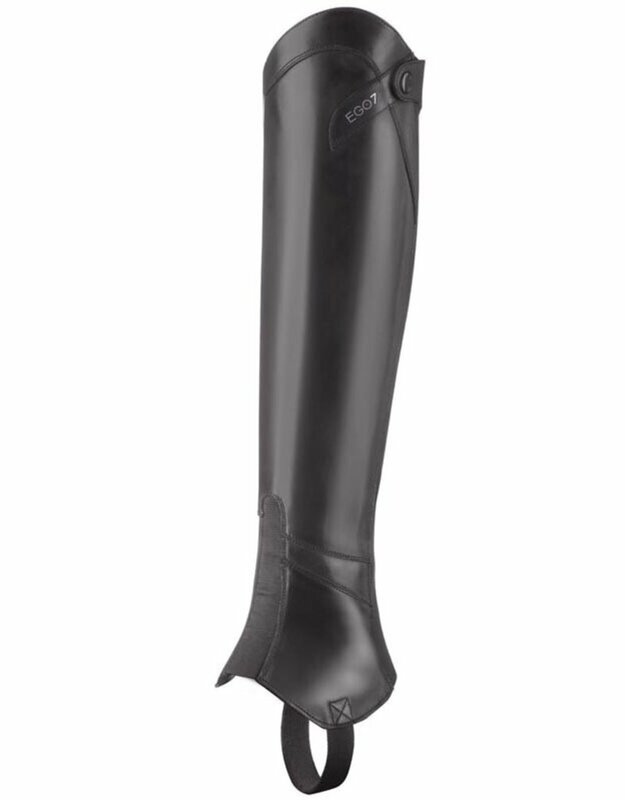 EGO7 Lyra half chaps, comfort and modern design combined. EGO7 half chaps are crafted of smooth, highest quality leather with E-tex panel and double-elastic gusset along the rear zipper for extreme wear-resistance. The full-length elastic band eases fitting and stretches when needed while riding and enhances ventilation and breathability. The front elastic design is a smart solution to provide additional freedom of movement the extra-strong foot guard ensure the snug fit and flexibility. The Italian design follows the elegant calf silhouette for a comfortable and seductive skin-tight result.